Discussion in 'Missing 2010 to 2014' started by CatFancier, Apr 19, 2015. After recent successes in tracking down the killer in a decades-old cold case, the Bellevue Police Department announced plans this week to revisit the city’s 17 unsolved missing persons and homicide cases. The department announced Jan. 18 that they have assigned Detective Johnson, a 32-year veteran of the department, to review unsolved cases such as the disappearances of Sky Metalwala and Julianne Jaillet and the murder of Loren Sundholm. With the advancement of technology and investigative techniques, the police say they have had success revisiting old cases like 1980 murder of Susan Lowe, which was solved in 2013. Whatsnext, spike, NOCLUE and 3 others like this. Bellevue Police have assigned a detective to take a fresh look at several unsolved homicides and missing person cases including the 2011 disappearance of 2-year-old Sky Metalwala. Officer Seth Tyler says one of the cases involves 2-year-old Sky Metalwala, who was reported missing in Bellevue by his mother on Nov. 6, 2011. The FBI, Bellevue Police and others have followed thousands of leads and spent over $2 million on the investigation but the boy remains missing. When asked specifically about the Sky Metalwala case, the investigations commander said, “We need to talk to Julia (Sky’s mom).” He added up to this point she’s refused to be interviewed by police. Uno2Much, noZme, spike and 3 others like this. Sky's photo is shown age-progressed to 5 years. He was last seen on November 6, 2011, in Bellevue, Washington. Sky was last seen wearing a grey hooded sweatshirt, black and aqua blue sweatpants, and white socks. Uno2Much, noZme, NOCLUE and 3 others like this. 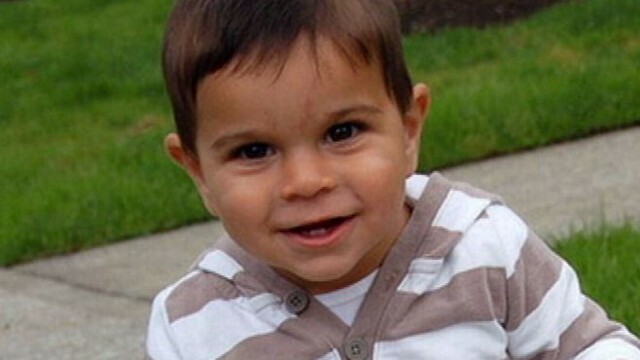 Sunday will mark five years since 2-year-old Sky Metalwala vanished from his mother’s care in Bellevue. Julia Biryukova has lived under a cloud of suspicion in her son’s disappearance, but to this day she has never been arrested or charged with a crime. She has refused to speak with investigators or the press. While Bellevue police have publicly questioned Biryukova’s version of events, the department had been hesitant to flat-out accuse her of lying. On Friday, for the first time, Chief Mylett said he believes Biryukova lied to police about the circumstances surrounding her son’s disappearance. Chief Mylett urged Biryukova to cooperate. "Ms. Biryukova please contact the Bellevue Police Department to allow us the opportunity to help find your son," Chief Mylett wrote in a statement. "We are more than willing to work with you and your attorney to identify a convenient time and location to discuss Sky’s disappearance. I am convinced you hold the key to finding Sky. The employees of the Bellevue Police Department will not stop searching for Sky, but I cannot emphasize enough the role you play in successfully locating your little boy." To date, Bellevue police, with assistance from the FBI and the Redmond Police Department, have pursued more than 2,500 tips, dedicated 14,000 man hours, and spent more than $2 million dollars on the Sky Metalwala investigation. Uno2Much, noZme, Kimster and 5 others like this. Glad LE is calling her out! Her friends need to know what they're dealing with - a woman who would lie about the disappearance of her own child! Whatsnext, Jay, Lily and 5 others like this. Saw on local news that Sky's mom is using the name Julia Morgan now. Reminds me a lot of Kyron's mom. Moving, changing her name, etc. Keep the pressure on her! Lily, noZme, NOCLUE and 2 others like this. Kyron's step-mom, yeah. But they wouldn't let her change her name! noZme, NOCLUE, spike and 1 other person like this. Whoops! Meant to say step-mom. That's right. Now I remember that! noZme, NOCLUE, spike and 2 others like this. NOCLUE and Ladyslug like this. Looks like his dad - such a cutie. I have said this about others - it makes me sad to see age-progressions when I am pretty sure the child is no longer with us. Does the egg donor have Sky's sister? Whatsnext, NOCLUE, Jay and 4 others like this. No, Solomon won custody. As far as I know, she doesn't even have visitation rights. However, she gave birth to another child in 2015. Not sure who has custody of that child. Whatsnext, noZme, NOCLUE and 4 others like this. noZme, NOCLUE, Kimster and 1 other person like this. Monday marks six years since the disappearance of 2-year-old Sky Metalwala and Bellevue police are still looking for tips to help find him. Bellevue police say the search has cost over $2 million and has garnered more than 2,500 tips. Anyone with information about the case can call Captain John McCracken from the Bellevue Police Department at (425) 452-7658 or email JMccracken@bellevuewa.gov. Bellevue police announced Monday the sixth anniversary of the day a 2-year-old Bellevue boy went missing. Bellevue police continue to seek leads in the case. To date, investigators with the FBI, Bellevue Police Department, and Redmond Police Department have pursued over 2,500 tips, spent over 14,000 hours and more than $2 million in this lengthy investigation. Police officials say they remain hopeful this case will be solved. 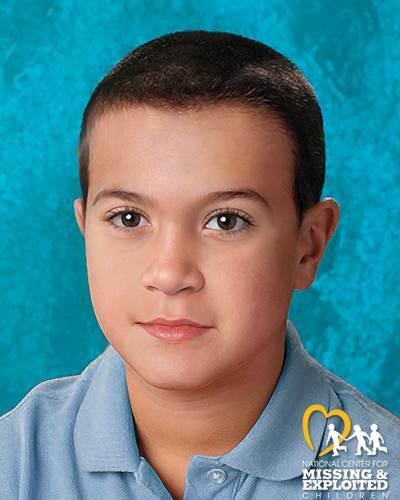 In May 2017, an age progressed photo showing what Sky would look like as a 7-year-old boy was released. noZme, Uno2Much, NOCLUE and 2 others like this. Julia is still refusing to provide any answers or talk at all. spike, noZme and NOCLUE like this. spike, Whatsnext, noZme and 1 other person like this. It has been more than seven years since young Sky Metalwala disappeared from Bellevue. The who, what, where, and why has been challenged, and dismissed long ago. Bellevue police say they don't believe the story the 2-year old's mother, Julia Biryukova, initially told detectives. It was all background for what seemed to be a run-of-the-mill court case in Redmond on Thursday. Biryukova, now Julia Morgan, accused her ex-husband of violating a no-contact order. Biryukova remarried after Sky's disappearance and had another son. The marriage went south after that, based on her testimony. She was argumentative at times during her roughly two hours on the stand and seemed foggy on details regarding the alleged no-contact violation. At one point the district judge warned her and an attorney of contempt of court. But after cooler heads prevailed, Biryukova did make an admission, when asked if she was not allowed to be alone with her son without a monitor. Child Protective Services did not immediately return requests for comment about the current case, or whether she still sees Sky's sister Maile, who was considered a witness at the time and is now 11. It has been previously reported that since Sky's disappearance, Biryukova was arrested for theft, diagnosed with obsessive-compulsive disorder, and that the state has been supervising the care of her child. "We do believe she knows where Sky is,” Bellevue Police Spokesperson Seth Tyler said Thursday. However, Biryukova has rejected all attempts at an interview or polygraph, according to Tyler. He also said the department had been asked why it doesn't at least arrest Biryukova for child endangerment. Tyler said legal advice has suggested it would be a difficult case to prove since the alleged victim is missing. Biryukova seemed caught off guard when questioned by KING 5 on Thursday, only offering up a smile at the mention of Sky's name as she walked from the courthouse. Where is Sky? Seven years later, perhaps only one person still holds the key. spike, Whatsnext, Kimster and 1 other person like this. Well I guess that would make him REALLY DAMN ENDANGERED THEN, wouldn't it? Cyndahrella, spike, SoSueMe and 4 others like this. I agree! She should be arrested for endangerment, I don't care what they think. Let it go to trial and maybe she'll lose and some of these law enforcement agencies will have more courage in the future. Cyndahrella, SheWhoMustNotBeNamed, spike and 3 others like this. SheWhoMustNotBeNamed, spike, Kimster and 2 others like this.